This weekend had some pretty amazing weather for an August in Maryland. The high seventies, zero humidity. Completely unlike Maryland weather for this time of year. Friday night, I kicked off the weekend with a solid closet clean-out (see some of my listings on Poshmark with more to come!) and was super excited to come across an old black Lululemon racerback tank I had. Even working moms need to have casual attire and I’m a HUGE fan of athleisure (though you probably wouldn’t know it from my mostly office friendly outfit posts). 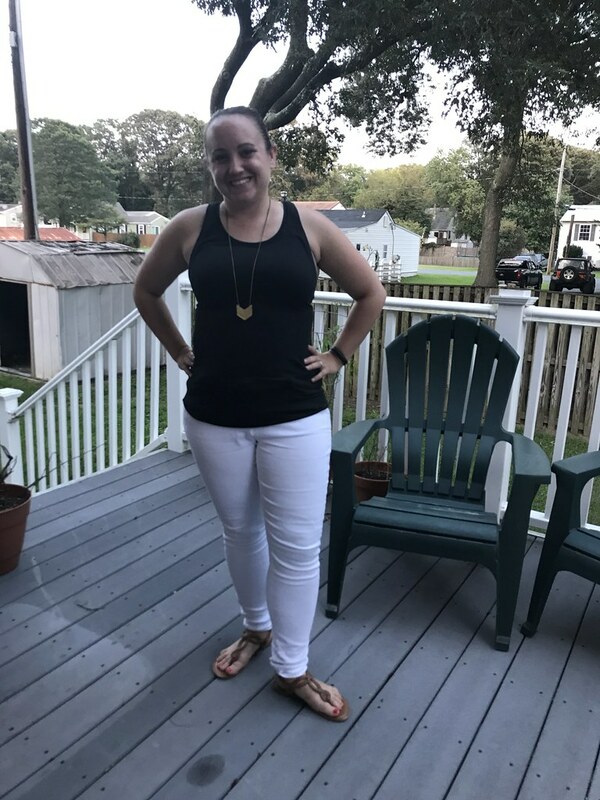 This outfit was super comfortable and perfect attire to hit up the Annapolis 10 miler expo, a nearby brewery and run some errands in Annapolis with the boys. As long as the weather is cooperating, this will probably be a weekend wardrobe regular (at least for the time being! ).